Updated boundary used in the 2018 Terms of Reference. Print out at 11x17 for proper scaling of 1:1,000,000. Cartography may be updated the near future. 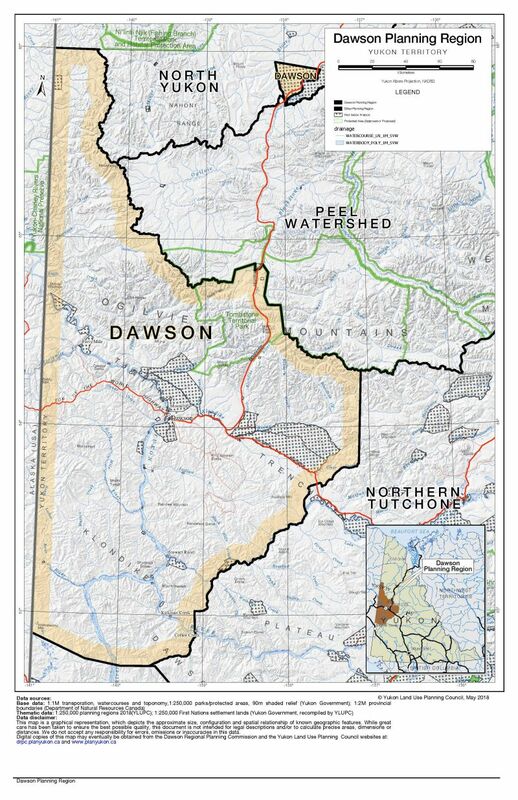 Click here to download a map of the Dawson Planning Region (updated May 2018).